Search Engine Optimization (SEO) is changing. 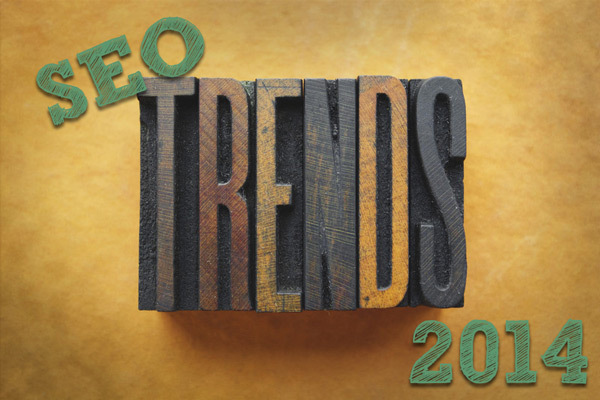 Along with the World is round, the fact that SEO is changing is a statement of the obvious. It will continue to evolve. Better to say it will “revolve” in that an SEO revolution is taking place. SEOs that are written rife with keywords, and those that write them, are the MS-DOS version of the industry and will soon go the way of the five and a half inch floppy disk if they don’t catch up. Go Mobile or Go Home: If your SEO is not geared toward the mobile market then you are missing the fastest growing place to be. You’ve already invested in your “app” for the mobile world, then take the next step and get an SEO to find it. More than half the adult population in the civilized world have mobile Internet access and are searching “on the fly” using multiple operating platforms, and in order to reach these targets the SEO needs to recognize how Google, Yahoo and Bing find you on each platform. Take a Deeper Dive: Google is taking the lead in its latest algorithms that return in-depth content. What that means is articles and blogs in the 2,000 to 5,000 word range are now more prominent in search results. For the SEO it means engaging even more creative talent in authoring original and in- depth subject matter. On top of that, if searchers are members of the Google community with Gmail, Google+ and other applications, Google will recognize you and return “tailored” results to your individual preferences from your profiles. These deeper dives from evolving search algorithms simply demand a more sophisticated SEO to provide the content that will land your site near the top. The lesson here is that if the SEO provider is still using keywords, well remember the five and a half inch floppy. Connect the Dots: Microdata is the operative word (note I didn’t say “keyword”) here. The search algorithms among the big three (Google, Yahoo and Bing) scan initial search results for these “dots” of information to further filter results and return what the user is looking for. This is a fairly complicated array of site embedded links that help search engines find you. The site that has developed the Microdata insertions, or the language that translates human vocabulary to search engine readable language, is Schema.org. If your SEO provider is not versed in Microdata, then it could be time to send them to the land of the five and a half inch floppy. The SEO world is changing. The World is round. Dancing to music can take the form of many different sets of movements. It can range from delicate, and rhythmic swinging to abrupt, and harsh thrashing. This symbolism fits nicely with how Google compiles rankings for any given search term. Rankings are in a constant state of flux with any number of listings moving up or down in their position. This movement is what is called the “Google Dance”. A common misconception with those unfamiliar with SEO is that an optimization campaign will only hold or improve the position of a website. In reality, rankings can experience both small and large movements up and down. The key is to see an upward trendline. Some campaigns can feel like they are stuck over long periods of time even though they are inching their way up. One case that I have seen more than once is where a campaign may experience slight improvements before dipping lower than the starting position. In these instances, it can be like water filling up behind a dam. The SEO work slowly builds up against the dam and once the dam overflows, ranking position improvements can come very quickly. These situations frequently frustrate business owners and amateur SEOers who are unfamiliar with this type of dance. In these cases, patience and perseverance are the keys to success. In the SEO industry, clients are frequently looking for quick ranking improvements and pressuring SEOers to push the limits of sound strategies. During an aggressive campaign, Google may completely remove a page or website from ranking for a specific keyword or set of keywords. The website will still be indexed and there is no manual penalty applied. This is essentially Google’s way of saying, “Something is going on and I’m not quite sure what it is so let me put you aside while I figure it out.” This is the most difficult dance maneuvers Google has as it can be very difficult to discern whether it’s a dance or a penalty. I experienced this situation several months ago while working with a new SEOer from an Australian based marketing company. The campaign at the beginning was too aggressive and the site disappeared for about 6 weeks before coming back to a stronger position. Sadly my colleague lost the client just before the rankings recovered. When performing SEO work on a website it’s important to stay patient when rankings fluctuate. Implementing the techniques that work will eventually prove fruitful. 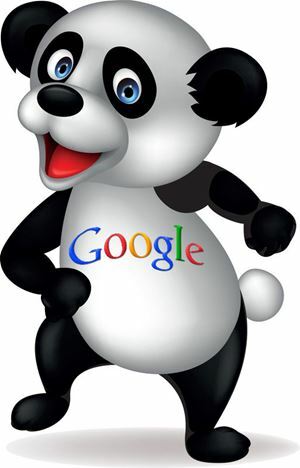 As long as you don’t step on Google’s toes too badly, positive results will come. There have always been challenges to creating a website. The big challenge used to be figuring how each browser was going to render a site. Now web designers are faced with a new challenge. Creating a website for the dozens and dozens of different screen sizes. We can no longer ignore responsive design. 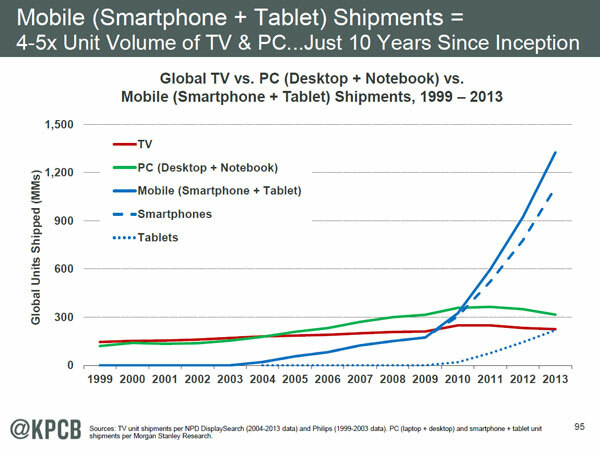 Mary Meeker’s latest Internet Trends report shows that tablet sales continues to skyrocket compared to desktop PCs and Notebook PCs. 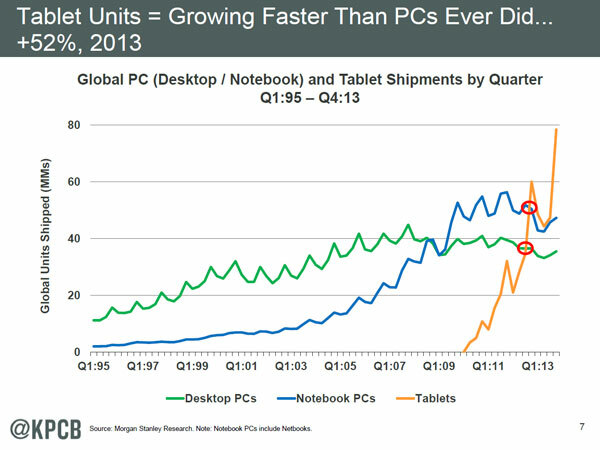 In fact, tablet sales last year were approximately the same as both of those two combined. In addition, smartphones also continue to grow with the market penetration surpassing 50%. Have you looked at your Google Analytics lately? More than likely over 50% of your visitors are using mobile devices. I’ve seen this in every site I’ve looked at for the past year. So, why is responsive design an important component to any website built? Pure and simple, that’s where the traffic is. If our visitors can’t easily find the information they’re looking for, they’re going somewhere else. Get your Unfair Advantage over your Competition! Sign up to our Proven-to-Work Marketing Plans Today. Most SEO companies only worry about the first two. The third component is where you realize the biggest return on investment. Has your monthly revenues taken a significant hit due to a large decrease in website traffic? We are trained to recovery your website. Here’s our process. With over 16 years of website design experience, there are very few designers that have developed websites before the existence of Google. Combine experience with a professional background and you’ll have a site that will shine above your competitors. Nearly 1/2 of all searches are from mobile devices. Get a responsive website made to work with mobile devices. Calgary SEO services are a dime a dozen. There’s so much competition vying for your business. That’s what makes it difficult to know which company to choose. But it’s certainly not impossible as you will soon see. We make every effort to stand out amongst the crowd. How so you ask? Well, for starters, while we understand the value of search engine traffic and what it can do for your business, we also recognize the value of sales funnels, conversion, a social media presence, video marketing and reputation management. Every one of the areas just mentioned can make or break your company if handled incorrectly online. So it’s great to have an Internet presence, but it’s vital that your search engine specialist knows how to successfully manage your online profile and all of these areas. Yes, we understand your business needs. We understand that free website traffic from the search engines is great, but it ultimately doesn’t amount to anything if you do not have quality content, a strong standing reputation and a sales funnel that converts. Let’s say you hire “123 SEO Service” to rank your website. They do a great job and now you’re site is ranking highly in Google for a number of targeted keywords. Potential customers begin viewing your content, but ultimately they choose to ignore your sales funnel and click the back button and move on to another company in your industry. It’s fantastic that you’re getting this free traffic from Google, but it ultimately is not boosting the company bottom line at all. Create and manage social media profiles on the best sites, including Facebook, Google + and Twitter, to name just a few. Use expert keyword research methods to find the most commonly used terms in your industry or local community. Provide first page Google rankings based on our keyword research methods, and begin to deliver highly targeted Google traffic into your sales funnel. Provide first page Google rankings for videos, which will brand your company and provide an additional traffic source driving potential customers in the sales funnel. 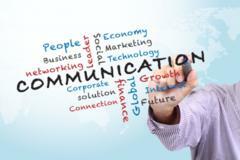 Assist in website design to improve conversion rates and ultimately bring more sales into the business. Track the success or failure of the company website, and make tweaks and changes when necessary to help boost conversions and sales. Perform reputation management when necessary to ensure that no one is intentionally or unintentionally sullying your good name. As you can see, we provide a full service SEO experience. We make it a point to help your business grow from all angles, not just by providing high search engine rankings and website traffic. It’s easy to do. Call the number prominently displayed below and ask about our premium services. Utilizing SEO Services Calgary is an important step to creating a powerful and effective marketing campaign. Search engine optimization is a continuous process, and one who is not an expert cannot possibly learn about the task in just a short period. In order to understand what a SEO expert is, it will be necessary to learn about his or her roles. The many ways by which SEO can help attain your goals for your website are associated it. An SEO expert is someone who is knowledgeable with the principles of search engine optimization. He or she knows very well how search engines work, and the algorithm they use to rank web pages. A SEO expert should have experience with the techniques that will work best for your website. He or she is also updated with the trends in the internet as this will enable him or her to redesign your website based on what will appeal to your target audience. From this knowledge, your website will be able to get ahead in terms of search engine performance. By ranking number one in the search engine results, your website is more visible to your target audience. Your online goal is easier to accomplish if the people you want to cater to can see you. 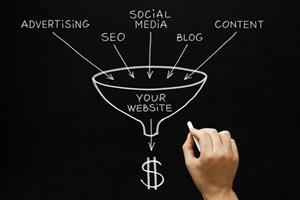 Take note that the more visitors your website, has the better its conversion will be. Why do you think TV commercials aired during primetime cost a lot? The answer is simple – this is the time with the most number of viewers. You will need the most number of visitors to maximize your profit potential. Through optimization services, you can be sure that you website will appear in the SERPs where it is most noticeable. You can learn about SEO and test how each strategy works. But it will take years of continuous effort before you become an expert. Google, Yahoo, and Bing are also changing their rules from time to time, and you will have to keep track of these makeovers in order that your website can keep its position. SEO services will save you time, which you can use for other things that matter to your business. SEO services can also save you a lot of money by not having to pay for online ads. What are the Roles of a SEO Expert? Improve website ranking. Search engines rank web pages primarily in terms of relevancy and reputation. Relevancy has to do with the quality of content, whereas reputation is determined by the number of links to your website. He knows the type of content that will perfectly match your website, and the visitors you aim to have. In addition, he will also perform off-page optimization such as blogging, press release, video sharing, social networking, etc. to increase links to your website. Monitor conversion. Just because there is improvement in your search engine does not mean you can stop SEO. There is no sense in increasing traffic if conversion will not go up. Tools such as Analytics are used to see if search engine optimization is doing its work. He or she will determine the rate of visitors who buy your products, register to your mailing list, or click on the endorsed link. Improve quality of content. It is also the responsibility of a SEO expert to suggest content – articles, blogs, images, or videos that will appeal to your target audience. The suggestions will make you understand that web content should offer value to the readers; that it will just not work if it only focuses on the business and not on what the audience needs. Link building. There are different types of links, and there are rules to follow when making one for your website. The search engines do not approve of links that are only created to boost ranking of the targeted website. Like the rest of web content, links should also appear natural. Analyze internet behavior of target audience. 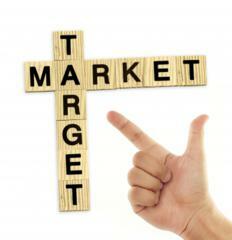 You may not possibly pull in your target audience if you know nothing about them. You have to learn about the keywords they often use, the sites they visit most often, and such other habits that will enable you to figure out the marketing strategies to use. An SEO expert will analyze your online goals, and then study your target audience before he or she develops a search engine optimization plan. He or she will choose the techniques that are most applicable to your website, and monitor how each will impact traffic and conversion.